Electric vehicles can be amazingly self-sufficient. Whether you manage a low-mileage fleet or use an EV for your daily commute, you have all the power these cars need (i.e., electricity) right in your home or workplace. Gas stations seem so unnecessary. Once you run into these problems, you might start seeing gas stations as amazingly convenient and omnipresent (they are). But we’re not here to harp on the shortcomings of charging stations. Instead, we hope to point out areas ripe for improvement. Here are five ways electric vehicle charging could be easier for drivers. It doesn’t matter how many EV chargers are available if stations are not located in the right place. There is a match for each type of station – even a Level 1 (110v) plug. Generally, if drivers have to travel many miles off a main road to find a plug, it is not in a convenient place. The issue affects the viability of any car featuring less than 100 miles of range. Proximity to main roads. Any charger more than two miles from the freeway or main thoroughfare is too far for EV drivers. Ideally, stations would be located on or right off the highway, unless the plug is meant for a specific community. Speed of charger. While Level 2 chargers are a good choice for shopping centers, parks, and other long-term parking spots, only fast chargers make sense on long-distance travel corridors. Appropriate pricing. Outside of Tesla consumers, electric vehicle drivers tend to be cost-conscious. Station operators who install chargers in high-end locations risk losing this part of the consumer base. What if gas stations showed up on some maps but not on others? The concept sounds unthinkable, but electric car drivers may run into this problem when charging in public. ChargePoint, the operator with the largest network of chargers in the world, along with other charging station providers, typically do not show all available plugs on their maps. Fortunately both PlugShare and ChargeHub are working to solve this issue, linking EV drivers to charging stations via their own mobile apps. There is still some variability in the stations that appear on the maps though, and drivers may have to use multiple – and sometimes warring – apps simply to find an available plug in a convenient location. This situation is making it harder on drivers and undoubtedly slowing the adoption of electric vehicles. Ideally, all companies and providers would agree to post every station on the map, even if it is maintained by a different provider. This type of cooperation would only help adoption of the technology and benefit every station provider in kind. Who was it that said competition would be good for the industry? Oddly enough, no single account can work for stations operated by the companies listed. ChargePoint joined EVgo, Volta, and other providers in vowing to rectify the situation late in 2015, but the problem still exists. Drivers of gasoline and diesels vehicle can pay with either cash or bank cards, but electric car drivers need several accounts to accomplish simple fueling needs on the road. 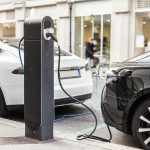 In addition to the various paywalls, EV drivers must deal with subscription activation – it may take several days to get an account up and running, which is of little help to anyone in need of a charge on a road trip. Were the different providers – including free public stations – be able to agree on single-account access for drivers, EV owners could take to the road without fewer of these concerns. Even those who hold multiple accounts and run their respective mobile apps on the road need more information about charging stations. For example, a charger listed as “Level 2” would get the first-generation Nissan Leaf about 12 miles per hour on its 3.3 kW onboard charger. Second-gen Leafs quipped with a 6.6 kW charger could get as many as 27 miles per hour on the gauge by using a Level 2 plug. Chargers running on solar power also have varying levels of juice depending on specific source and amount of electricity available on a given day. As charging stations currently are, these factors are often up in the air, which can lead to more range anxiety than necessary. With all the challenges involved with public EV charging, none is as frustrating as being blocked out of a charging station by a gasoline (internal combustion engine) vehicle. This problem is common in public places where chargers coexist with regular parking spots. The only solution to the problem is increased awareness, which unfortunately must include fines and/or towing when gas cars make it impossible for electric cars to charge their batteries. Cooperation from parking garage operators and local municipalities would be crucial to achieving this goal. Otherwise, EV drivers hoping to take advantage of the limited charging infrastructure will continue finding themselves inconvenienced and possibly stranded because they were “ICE’d” by an unknowing driver. Cooperation between private and public organizations can make charging station improvements happen. As we look ahead to an era when long-range electric vehicles become the norm, charging concerns must be addressed. We acknowledge competing providers have business reasons not to cooperate with one another. However, more cars charging on more stations would likely open up the market for each provider to share in its success. Have any other areas that you think have room for improvement? Let us know in the comments sections below.